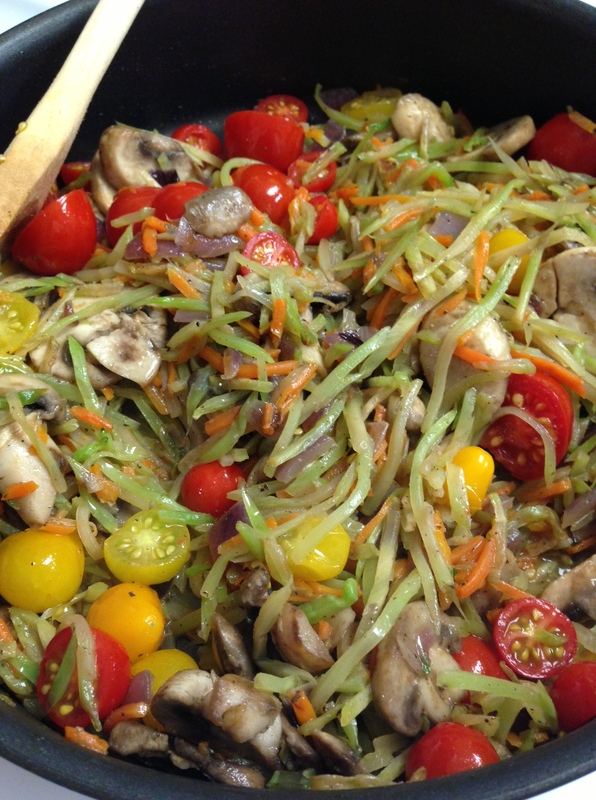 Broccoli slaw-so versatile! It stays firm like an al dente pasta if not overcooked. Last week I made what not only looked like, but tasted like, pasta! I sautéed the onion in about a TBSP of coconut oil. Once the onion started to soften, I added the bag of broccoli slaw, and seasoned with a little salt/pepper/garlic powder. I continued sautéing until everything was hot, and at the last-minute added the mushrooms and tomatoes (since they’re soft and I didn’t want them mushy). 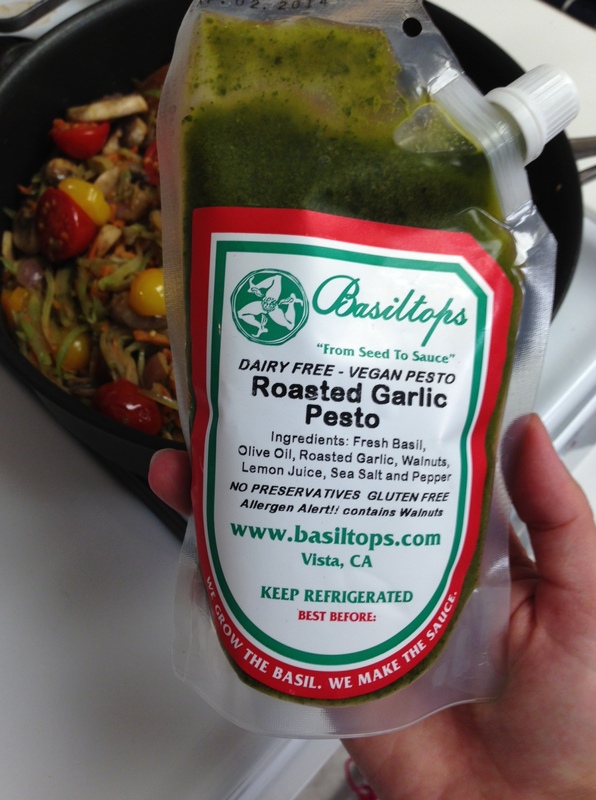 Last, I topped with a garlic vegan pesto I found at the Hillcrest Farmers Market a week ago. If your eyes were closed, you’d think you’d have a giant bowl of pasta with sauce in front of you. 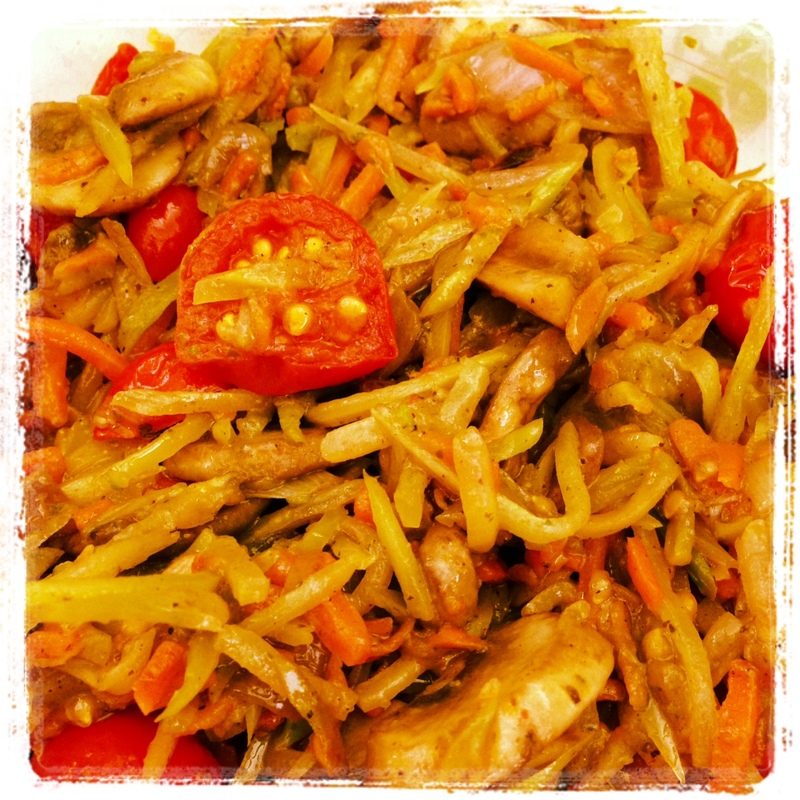 Will definitely make again, and again. 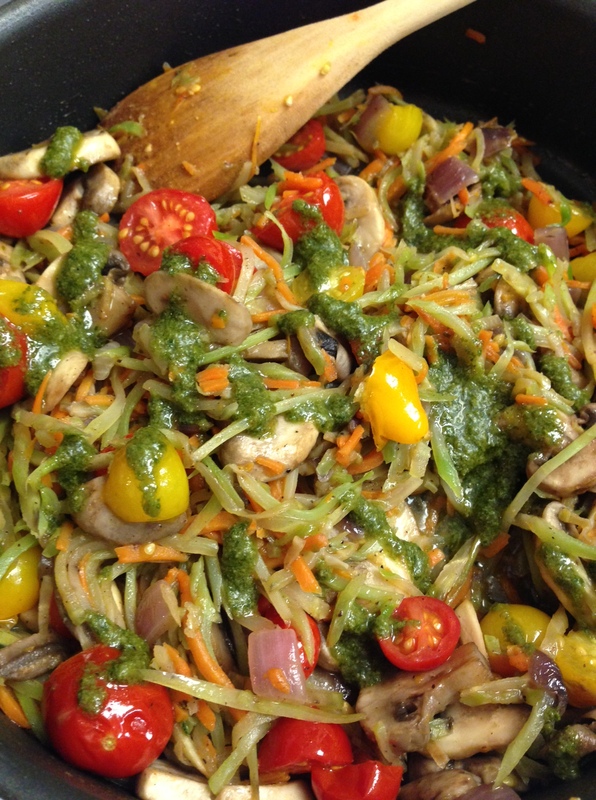 This entry was posted in Recipes and tagged Broccoli Slaw, Coconut Oil, Dairy-free, Faux Pasta, Faux Pesto Pasta, Grain Free, Paleo, Tomatoes, Vegan Garlic Pesto by livinglikelinds. Bookmark the permalink.